Contributed by Pronnsias Breathnach, A ticket to ride – The licensing landscape is another in our series of occasional features. 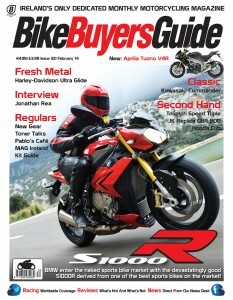 This article originally appeared in the January 2014 issue of Bike Buyers Guide, through which MAG Ireland has been afforded the opportunity to explore some of the challenges facing riders today. This time last year, learner motorcyclists were worried about pending changes to the test and, indeed, to the process of obtaining a licence. The entire system of motorcycle licencing was about to be upset and it would affect those who, for whatever reason, were holding learner permits but hadn’t yet sat a test. 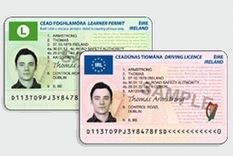 By the time you read this, the new licence categories will be approaching their first anniversary, the new plastic-card versions are becoming a normal sight and a new authority, the National Driver Licence Service (NDLS), has taken responsibility for the issuing and renewal of same. So, what were the changes? This caused significant difficulties for riders caught between the old and new systems. Some found that while they could legally ride their current motorcycle on their old style 33bhp learner permit, if they did a test they qualified only for an A2 licence, and that meant they would no longer be allowed ride the same bike if it had been restricted from one which originally put out more than 70 kW. This situation arises from a very strict reading of the legislation by testers, which means that if you present for an A2 test with an old-style 25 kW/33bhp restricted learner permit, you need a bike that is legal on both old and new licences and fits the requirements of the test. This means a machine with exactly 25kW, not restricted from something more than 50kW, precluding most learner machines and restricted sports bikes! Delays in issuing new learner permits, and requirements to undergo Initial Basic Training (IBT) caught some unawares, and caused some bitterness amongst those who had either unknowingly held off, or gambled on an automatic upgrade. A year on, most of the kinks have been ironed out. There will still be some out there on old style learner permits who will find complications as and when they decide to do a test, or when their permit comes up for renewal – and the choice is an A2 or an A learner permit. The good news is that the system is now well understood by trainers, students and officialdom alike. It’s a reasonably simple process to update the learner permit to an A2 or an A. Riders are generally advised to go for an A learner permit if they’re over 24, and can sit the required IBT modules. All that aside, the route to a motorcycle licence for a newcomer has changed substantially, depending on their age. 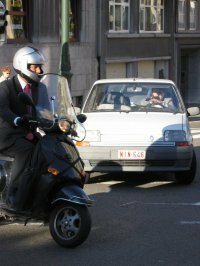 For those starting out their biking careers in their teens, the Moped (AM) and small motorcycle (A1) categories allow that first whiff of motorised freedom. Nothing has changed here bar the training requirements. Progression by training has made this a good choice for those who want to start early. Anyone holding a full A1 category licence for more than two years can undergo a transitionary training module and, on successful completion, be granted a full A2 category entitlement with no test required. Given you’d have to do the training in any case, it makes sense to go with the progression route if you’re not in a rush to get through the categories. Likewise, anyone holding a full A2 for two years can progress to an unrestricted A licence by way of a transitionary IBT module. In this manner, our teenager can progress to a full, unrestricted A licence by the age of 22, a full two years before they would be entitled to apply for direct access at 24. Of course, if you have age on your side, you can skip one, or all, of the lower categories and begin your motorcycling career on an A2 licence from the age of 18 (restricted to 35kW/46bhp) or even on an unrestricted A, by way of direct access if you’re 24 or over. You will need to undergo at least one test to gain your full licence though – that bit is not going to change any time soon! The new licence categories, and the graded access has brought another discussion to the fore. The elephant in the driver licensing room is the clear disparity between a teenager who can sit into any car aged 17, and the one who must undergo 18 hours of training before being allowed out on two wheels, and will then be restricted in his or her choice of transport for the next five years. Admittedly, the syllabus for car driver training has improved substantially in recent years. Yet it remains sorely lacking by comparison to the training for motorcyclists. Let’s be honest, we are more vulnerable on the roads, yet the RSA statistics show that half of all collisions are caused by car drivers with poor observation skills. Learner car drivers are, according to the RSA’s own EDT syllabus, taught observation of other road users in lesson six. By then they have been in a car, on the public road, for an elapsed ten weeks and a minimum of twelve hours driving. In contrast, a novice motorcyclist is taught observation before they are ever allowed out on the road. This is reinforced throughout the training, which must be completed before the rider can legally use the roads without being accompanied by a qualified instructor. Even if the training were perfect, it only applies to the newly qualified drivers and riders, who are now some of the best trained in Europe. While experience helps, those of us who have held licences for some time, in categories A or B especially, ought to resolve to pay a visit to our local approved driving instructor once in a while to weed out our own bad habits. Riding a motorcycle is a depreciating skill. A few hours topping up may save someone’s life!